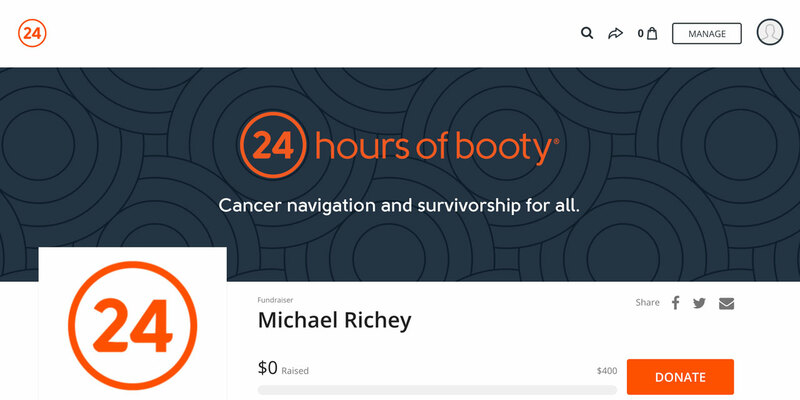 Before you can ride or stride to change the course of cancer in a 24 Foundation event, you need to master Classy, our online fundraising platform. 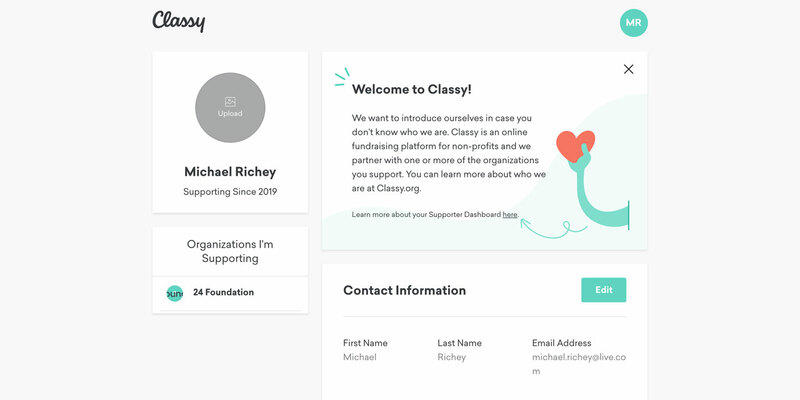 Registering and fundraising through Classy is easy when you follow our step-by-step guide. Read on, and you’ll be ready to begin in no time! 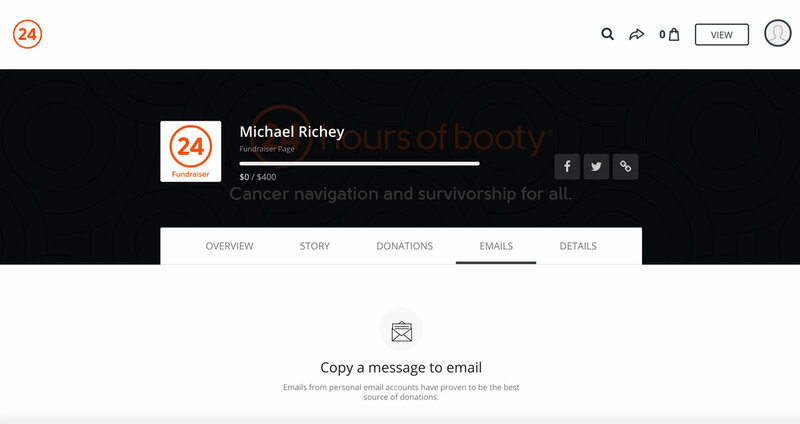 Start on the 24 Foundation home page, and click “Register” in the top right-hand corner. Choose your city and the way you’d like to participate: as an individual or on a team. 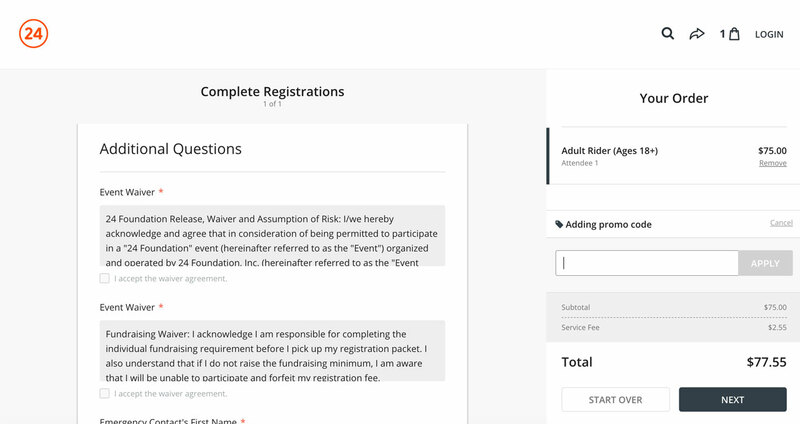 If you’re riding or striding solo, click “As an individual.” Done and done. 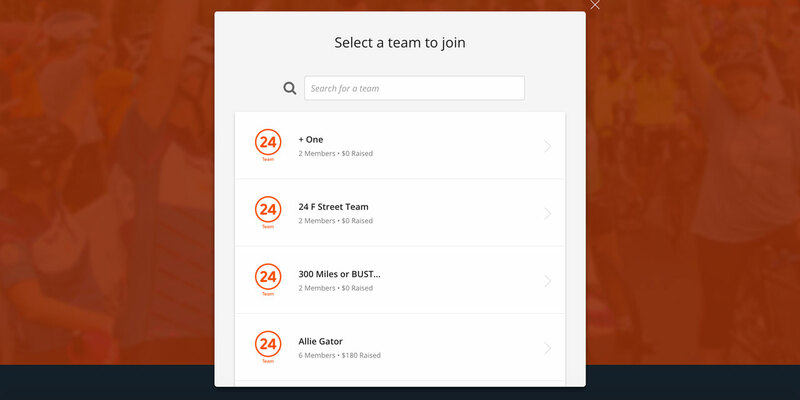 Click “Join a team,” and choose one from the alphabetical list by navigating through the pages or by searching for a specific team name. 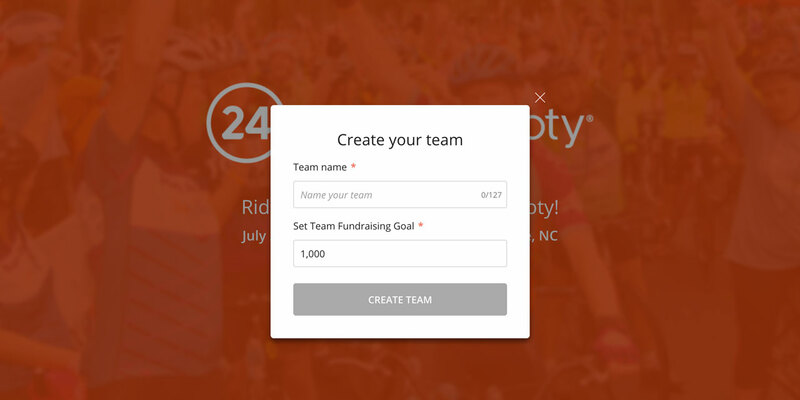 To create your own team, click “Create a team,” type in your team name, and set a fundraising goal. Click “Create Team,” and you’re done! 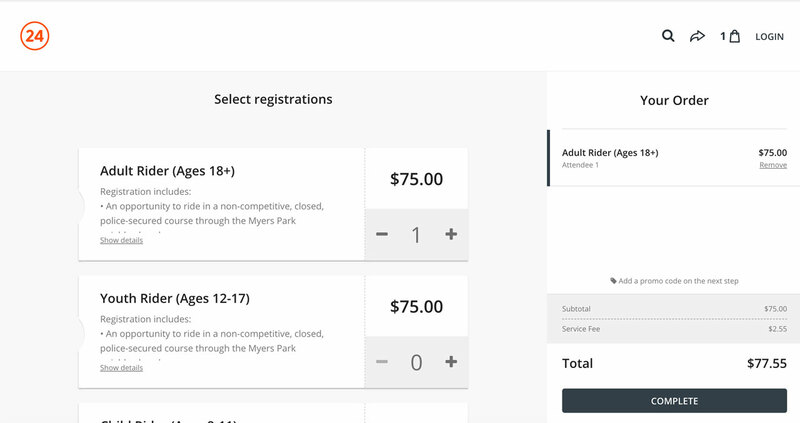 After finishing any one of these three steps, you’ll be taken to the registration page. 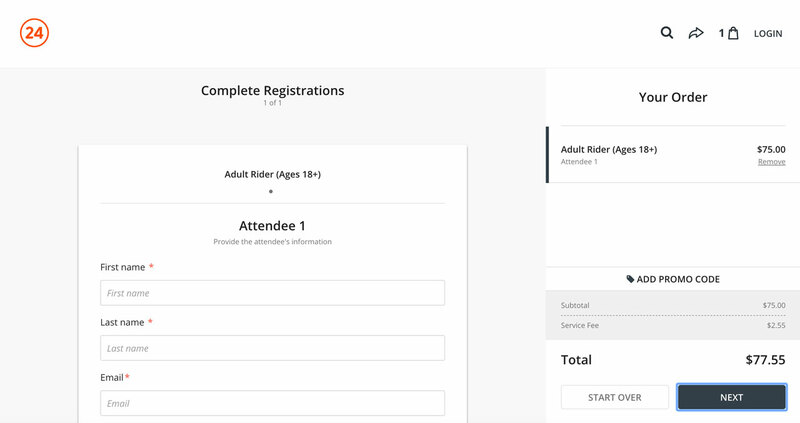 From here forward, the sign-up experience is the same no matter what type of participant you are. 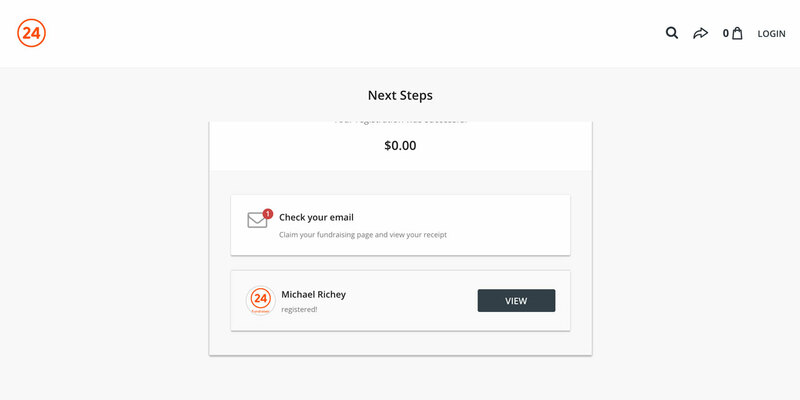 Your fundraising page is only a few steps away. Now it’s time to enter information for all the attendees you added on the last page—these are all basic details like name, email, address, phone, etc. Fill in everything in the appropriate boxes. Accept the waivers by clicking both checkboxes—and be sure to read the waivers before you do so you understand the terms of the event. Do you ride or stride to support a local beneficiary? How did you hear about 24 Foundation? Here you have the chance to add an extra donation of $24, $50, $100, $250, or whatever amount you’d like. If you don’t want to donate, click “Skip” to continue. You’re almost done! Complete your purchase with your name, email, and address. Check the box to let the 24 Foundation know if they can update you with their latest news. 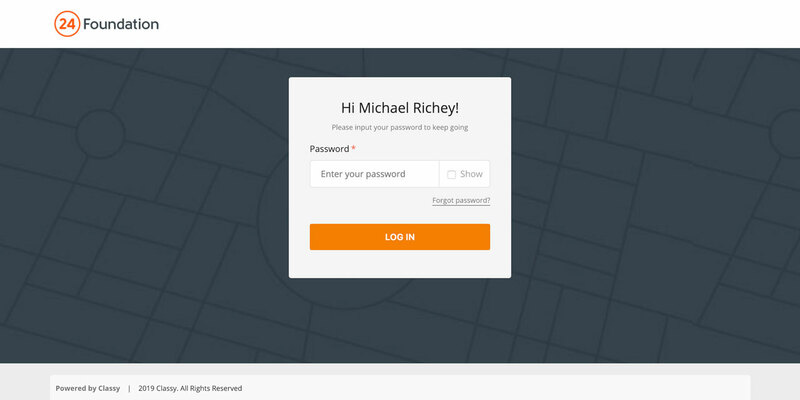 Click the link in the body of either email, create a password, and you’ll gain access to Classy, the online platform you’ll use to manage your fundraising! Your Classy page is also your Settings page for your 24 Foundation account. Click 24 Foundation under “Organizations I’m Supporting” to get to your 24 Foundation profile. 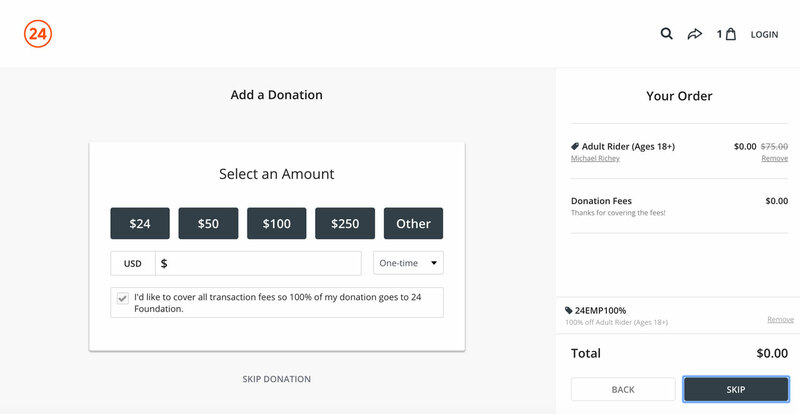 From here, you can manage your fundraisers, donations, and teams. 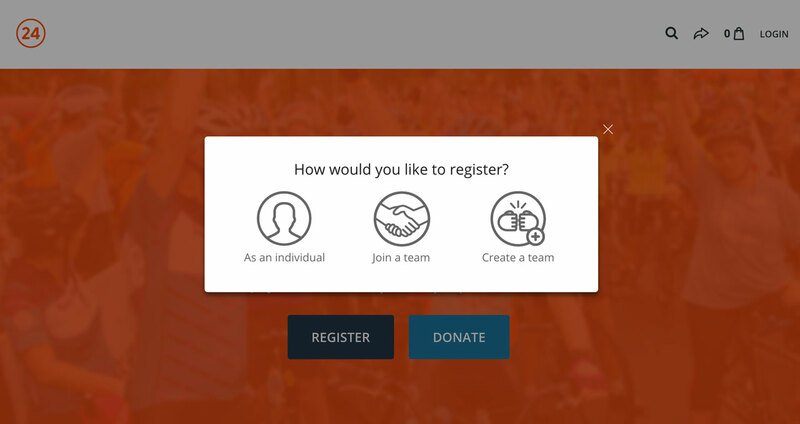 Clicking “Manage Fundraiser” takes you to your fundraising page. And here you are on your fundraising page! Now you’re ready to start raising money to support hundreds of cancer survivors. Here are some quick ways you can get started. 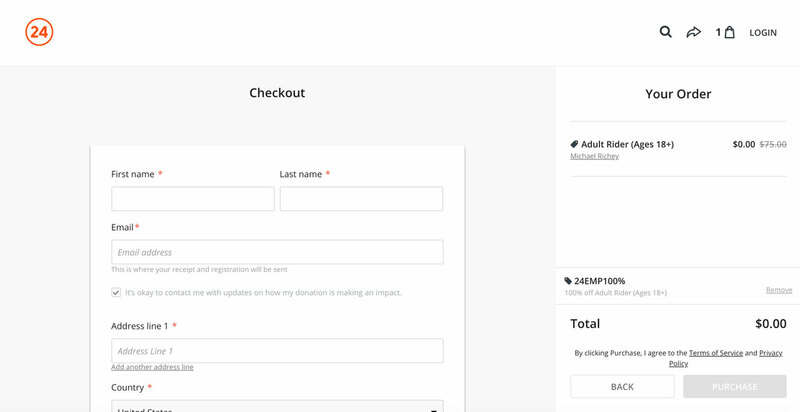 From your fundraising page, click “Manage” in the top right-hand corner to start creating and editing page details like your name, photo, story, and page updates. Once you’ve got those in place, it’s time to start spreading the word. Click the Facebook and Twitter icons next to your name to share your page on social media—the link icon is another way to share on other platforms, or anywhere else you can think of. Another effective way to get the word out is campaigning through email. A personal email to people who care about you goes a long way to help raise money for this important cause. And we’ve made it easy with email templates! If you click “Emails” underneath your name on the management page, you’ll be shown two templates, “Ask for donations” and “Thank you donors,” which you can copy, paste into an email draft, and modify as you like. It takes away the stress of staring at that blank page and trying to think of the best way to ask for donations. Now that you’re all set up with Classy, and you know what to do, get out there, start fundraising, and enjoy the event!